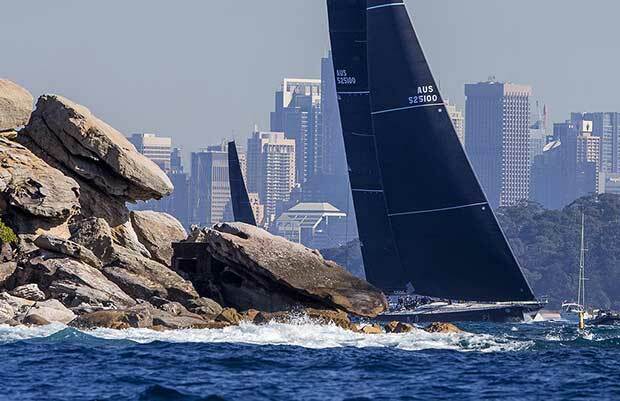 After a week of belting winter westerlies in Sydney it seemed ironic that today’s lunchtime start of the Land Rover Sydney Gold Coast Race was destined to be a zephyr fest. But so it was, with limp sails and wavering water reflections making for a sorry sight as the gun fired in a one knot northerly. Then, seemingly out of nowhere an eight knot westerly spread quickly across the harbour and the fleet was away. 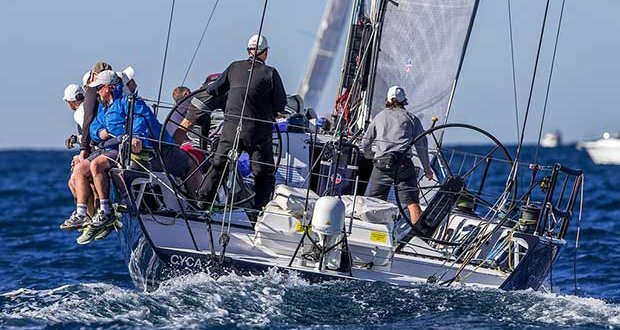 The two supermaxis Wild Oats XI and Black Jack 100 chose opposite ends of the line, with Wild Oats getting the best of the new breeze on the eastern shore, cracking sheets and fetching to South Head. Black Jack 100, with her schmick paint job and freshly minted sails followed Wild Oats XI out of the harbour, with Matt Allen’s TP52 Ichi Ban not far behind. The remainder of the fleet enjoyed a stress-free ride to North Head and headed offshore. Given that the new Black Jack 100 (built originally as Neville Crichton’s Alfa Romeo II and then lately as Esimit Europa) only left the boat shed on Tuesday last week it was not surprising to see some minor sail handling issues with a recalcitrant furler as she left the harbour. 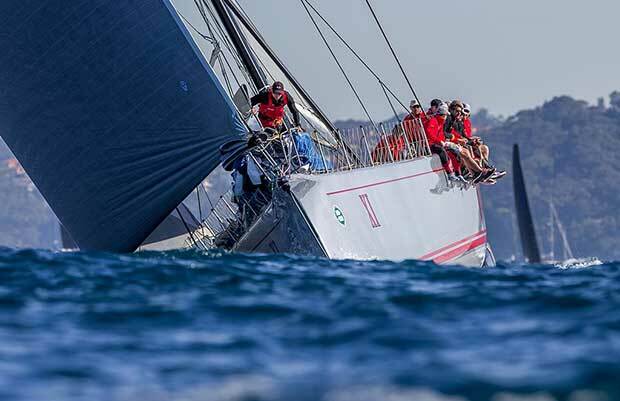 But, as Saturday night wears on Peter Harburg’s new Black Jack is showing some early signs of promise, separated from Wild Oats XI by less than a nautical mile – and therefore ahead on handicap – just south of Nelson Bay, sailing inside the rhumb line. At 9pm on Saturday night Matt Allen’s Ichi Ban leads IRC division from Quest (Bob Steel has ‘borrowed’ his previous boat, which is now Paul Clithreoe’s Balance for this race and for the Sydney Hobart), Paul Mara’s Helsal 3 leads OHS, Quest leads ORCi and Philip Bell’s She is leading the Cruising Division.